Cell 213 becomes home to young attorney Michael Gray, and after a gruesome twist of circumstances, he is framed for the murder of an incarcerated client. Unnatural forces are causing unexplained deaths of prisoners in South River State Penitentiary, and Michael soon discovers that matters of guilt and innocence are not so easily distinguished - trapped in this nightmarish cell. 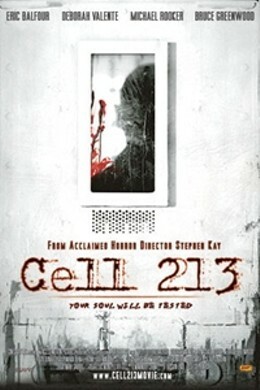 Cell 213 is not showing in any theaters in the area.